Social networks are all about sharing, right? For sure it’s cool to share your latest experiences, pics and videos etc with your friends and family but increasingly people who use social networks are becoming concerned about their privacy. 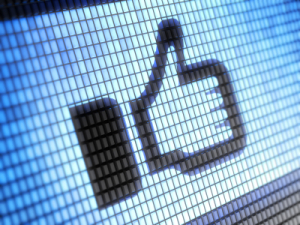 Sites like Facebook, Twitter and Google + keep a record of all the interactions made on their sites and use this information to form social profiles of users. These are incredibly valuable to third parties such as advertising agencies who can use the information to target ads specific to the users interests. Other third parties, from the government to university admins, from law enforcement agencies to employers, are also increasingly using social networks to spy on users for various reasons of their own. MeWe promises no spying, no cookies, no data sharing and claims ‘privacy by design’ in every aspect of it’s network. You can share all the usual stuff: photos, videos, voice messages, docs, mail, chat, etc. but they don’t spy on you, track your data, or share or sell your information with anyone. So how do they make any money then? The basic service is free, which includes up to 8GB of storage but they do charge extra for optional services such as extra data storage and various other choices. Available on all desktops and tablets as well as Android and iOS smartphones. Diaspora is a non-profit, user-owned, distributed social network which sounds like a bit of a mouthful but means it’s free to use, free from censorship and free from ads. Period. Your data will never be sold to third-parties. Based upon the free Diaspora software the network consists of a group of independently owned interconnected nodes. The software is managed by the Diaspora Foundation, which is part of the Free Software Support Network (FSSN) which accepts donations. Perhaps a bit geeky for some but one that we can never see selling out down the line. Available on desktops and tablets but Android and iOS apps are basic at best. 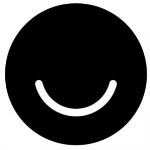 Ello is free to use, puts your privacy is first and foremost and promises to remain ad free and won’t sell your personal information. They are going to charge at some point for special features through micro-payments but at this point we have no more details. At the moment it’s still in beta and is invite only so requesting to join is all you can do for now. One to keep an eye on for sure. Everyme is a free private social networking app which you can use on desktops and tablets, Android and iOS. Users own their data, can export it, and remove it at any time. Set up groups and easily manage people who have access to the things you share. Your information won’t be sold to any third parties. There is no option at all for public sharing rather all content is restricted to circles of contacts which include: Family, Friends, Co-workers, and ‘Sweethearts’. Initially funded to the tune of $1.5 million by big name Silicon Valley investors you could ask at what point these guys are going to want to see a return on their investments and how therefore the site will be monetised in the future.